These were taken in the last few months in NY, CT, and NJ. The first herring gull was in NY and the non-leucistic red-tailed hawk was in CT. The rest were in NJ. I believe the gull pictures are Herring Gulls but am not absolutely sure. After googling “white hawk” and then googling leucistic red-tailed hawk, I am pretty sure that the second and third pictures are of a leucistic red-tailed hawk. I saw him/her on different days but in the same spot. After the first four photos I gave up, as they weren’t in order and there was no robin. This may be my fault. You can identify the rest! This entry was written by whyevolutionistrue and posted on June 12, 2018 at 7:45 am and filed under birds, photography. Bookmark the permalink. Follow any comments here with the RSS feed for this post. Both comments and trackbacks are currently closed. “I thought I’d send the rest of the pictures I had originally intended to send. It wouldn’t let me send all of them and I didn’t want to send too many, but here they are anyway if you can use or like these also. The pictures that are posted today were taken in the last few months in NJ and CT.
6. Ring-billed Gull (Larus delawarensis) (Initially I thought this was a Herring Gull but think it is actually a Ring-billed Gull after reading the comments from the last post. 8. Red-tailed Hawk (Buteo jamaicensis) (I think it’s leucistic.) Found in the same spot as 1. but several weeks apart. I hope this helps clarify. Thanks for posting them! Google Images for leucistic red-tailed hawk and you get images of birds that are much whiter. The third picture down is the same exact bird. The fourth picture picture is, I believe, the same bird taken in the same spot a few weeks later. I think if I’d seen this myself I would have been quite mystified. Thanks for sharing. The notes above are for a different set of pictures. The first two pictures have incorrect labels. The notes and identification for the pictures are correct in comment 1. Hope that helps clarify. 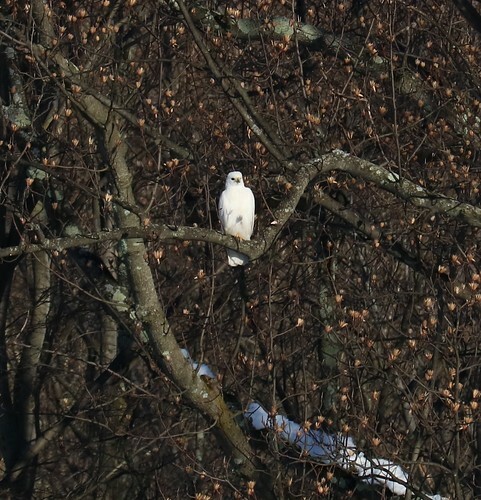 So the first picture and the eighth pictures would be the leucistic red-tailed hawk. This set of pictures was the B set that I didn’t initially send. Apologies for any confusion. The first comment here should clarify for the pictures posted above. I’ll have to keep an eye out for those yearling ring-billed gulls. I’ve never seen them in their first-year plumage before. I don’t know if they breed where I am but I’d assume that 1-yr olds would still move about and migrate to the various man-made lakes where I am. Like the vultures, gulls don’t get enough respect, but the food theft as a brazen as it is by gulls, along with their dumpster diving, isn’t very endearing, I suppose.